Mactaggart Foodlink at 20 Mactaggart Road (Former Khong Guan Industrial Building) is a new launch food industrial building project by Lian Beng. 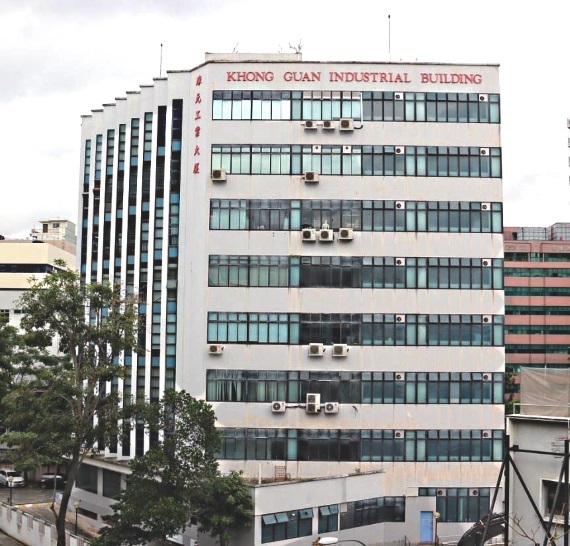 The building, located 300m from Tai Seng MRT Station in the MacPherson/Tai Seng industrial estate, sits on an area of 21,123 square feet. It is zoned for “Business 1” use at a plot ratio of 2.5, according to URA Master Plan 2014. The 5-storey freehold project will comprise of 28 units with strata sizes from 2467 sqft. The site has been approved by URA and NEA for various usage like central kitchen, food processing and cold storage. Food industrial for sale is rare in Singapore. The last launch, Mandai Foodlink had been fully sold on the launch day. For more information on Mactaggart Foodlink @ 20 Mactaggart Road, simply fill up your details below and our salesperson will get in touch with you shortly!